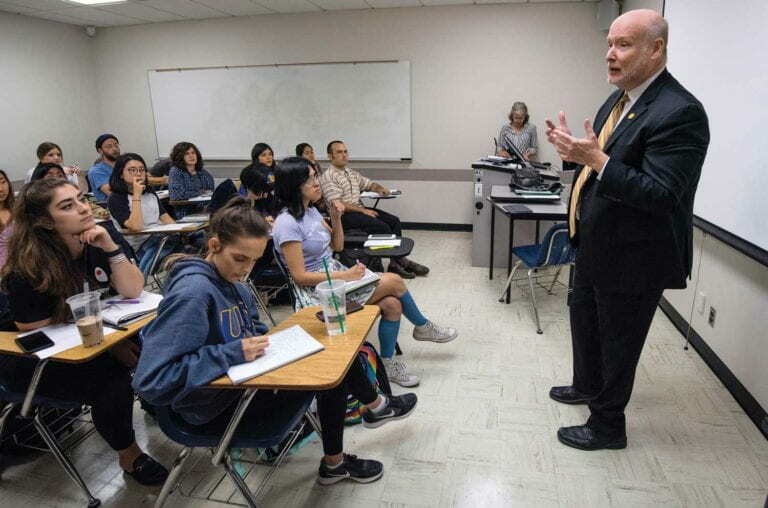 In his convocation address to the incoming class of 2022 last fall, UCI Chancellor Howard Gillman gave freshmen an inkling of how the university can inspire their minds, but he also cautioned them to be prepared to hear things they might find repugnant. It’s little wonder he gave such emphasis to the matter: College campuses have been roiled in recent years by questions and clashes regarding speech. How does an institution balance students’ security with the right to confrontational speech? How does a university mitigate the harmful effects that hate speech can have on minorities and other marginalized people? How does a campus prevent disagreements from escalating into disruptions? These are not new questions for the chancellor. 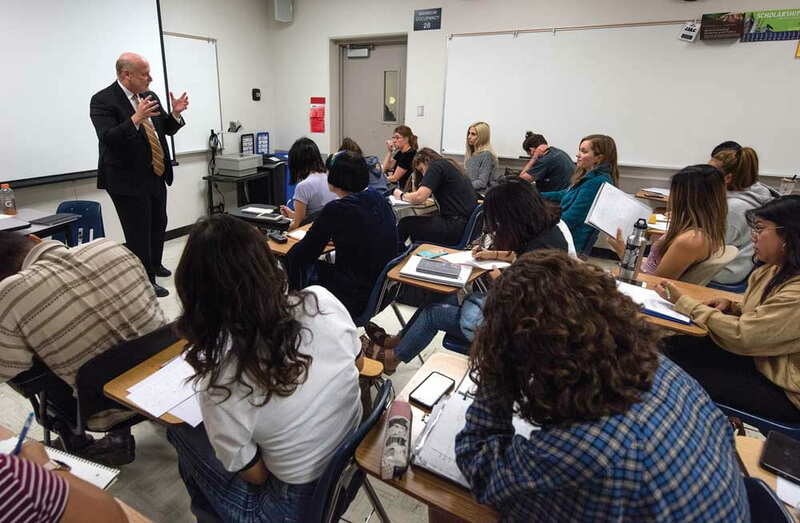 UCI is no stranger to speech-related turmoil on campus, and Gillman has been at the forefront of the discussion to find solutions. He co-taught undergraduate seminars on free speech with fellow constitutional scholar Erwin Chemerinsky, founding dean of UCI’s School of Law, who is now dean of UC Berkeley’s School of Law. That course and their 2017 book, Free Speech on Campus, laid the foundation for the National Center for Free Speech and Civic Engagement, which UC President Janet Napolitano signed into being in October 2017, specifically to address free speech at universities. The center has offices at UCI and UC Washington Center in D.C., and Gillman and Chemerinsky chair its advisory board. Prior to that mid-1960s, Berkeley-based effort, political activism was routinely prohibited on campuses. The hard-fought successes of the campaign opened the door for students to advance civil rights and women’s rights, oppose the Vietnam War, and have a voice in other controversies. As Free Speech on Campus details, the student movement was only part of a generations-long endeavor to make “freedom of speech” live up to its name. Earlier times in the U.S. had seen bans on promoting the abolition of slavery, the theory of evolution, labor rights and additional matters of national import, along with the outlawing of books by such authors as Ernest Hemingway, James Joyce and John Steinbeck. Unlike the days of the free speech movement, today it’s often students, rather than administrators, who must be convinced of the virtues of free speech rights. It’s a phenomenon noted in Gillman and Chemerinsky’s book, and it was evidenced last fall when instructor Amy DePaul’s Reporting for Literary Journalism class spent several weeks studying speech on campus. So she thought: “What better way to introduce them to the issues than by inviting a constitutional law and First Amendment expert to speak to them directly?” DePaul was “surprised and delighted” when Gillman accepted, and she says it was “a great experience” for her students to be able to ask him questions directly. The chancellor started with a presentation on the historical sig-nificance of free speech. “Everything that you think is true about the natural world, about the nature of life, about a just society – everything that you believe to be true – was not too long ago considered a dangerous, heretical challenge to the sacred beliefs of established authorities,” Gillman told the students, adding that it’s only through dissenting voices, divergent viewpoints, free speech no matter the cost that knowledge evolves. Undergraduate Esme Park says the lecture was eye-opening. “Going in, my thoughts were: ‘We have to limit speech, because if we allow people to say hateful or ignorant things, it could cause more harm than good,’” she says. “I’m a stubborn person and thought nothing would change my mind. Fellow student Audrey Kemp says she hadn’t heard of the free speech movement before Gillman’s appearance. Gillman and Chemerinsky aren’t overly surprised by students’ resistance to unchecked speech, noting that the Vietnam protests, civil rights marches and free speech movement are as distant to today’s students as World War I was to them. When speakers show up on campus who practically have “provocateur” super-glued to their names, administrators must attempt to balance their speech rights with students’ desire to protect their peers. 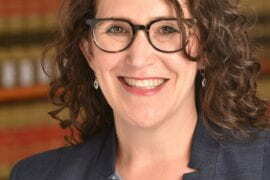 Michelle Deutchman, founding executive director of the National Center for Free Speech and Civic Engagement, says part of the center’s work focuses on creating curricula, freshman orientation materials, traditional academic research and “toolkits” for administrators, staff, student groups and campus security in order to further understanding of the value of open expression. After his lecture to DePaul’s class, Gillman participated in a spirited Q&A with the students. Topics ranged from Twitter censorship to the costs of inviting controversial speakers to campus and the definition of hate speech. “Do you think it’s possible to have a university where students can feel safe and where free speech is allowed?” asked one undergraduate. Gillman responded that it’s necessary that everyone be willing to hear and debate ideas that make them uncomfortable, in the same way that medical and law students need to endure difficult situations to prepare themselves to help others. 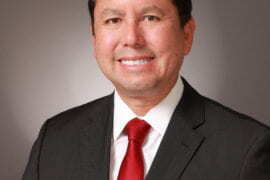 Lilibeth Garcia contributed to this article.